Acclaimed for its interpretation of contemporary repertoire, the Carducci String Quartet has premièred many specially composed works by composers including Huw Watkins, Huang Ruo, John McCabe, Michael Berkeley, Sven-Ingo Koch. In 2019 they will present three new works: a String Quartet by Karl Jenkins, a Piano Quintet by Kate Whitley, and a new suite for String Quartet by Jonny Greenwood with music from his score to the film There Will Be Blood. 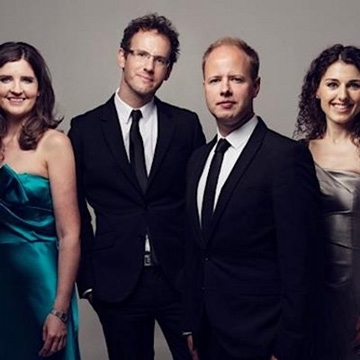 In addition to its busy concert schedule, the Quartet curates festivals both in Cheltenham and Castagneto Carducci in Italy - the town from which it took its name.